Traditionally, programmatic advertising has been considered an effective tool for reaching large groups, but too blunt an instrument for brand marketers. Effective brand building is a conversation, which requires a lighter, more personal touch. 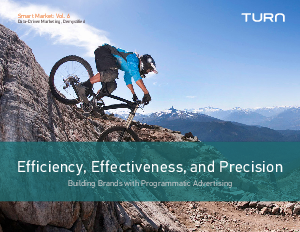 Today’s programmatic advertising—let’s call it 2.0—delivers the accuracy and precision needed to provide that personal touch. Make an impact with unprecedented control over platform and context, incredibly accurate targeting, and of course, massive reach.